AQ20L -Linear motor drive large size die-sinker EDM. 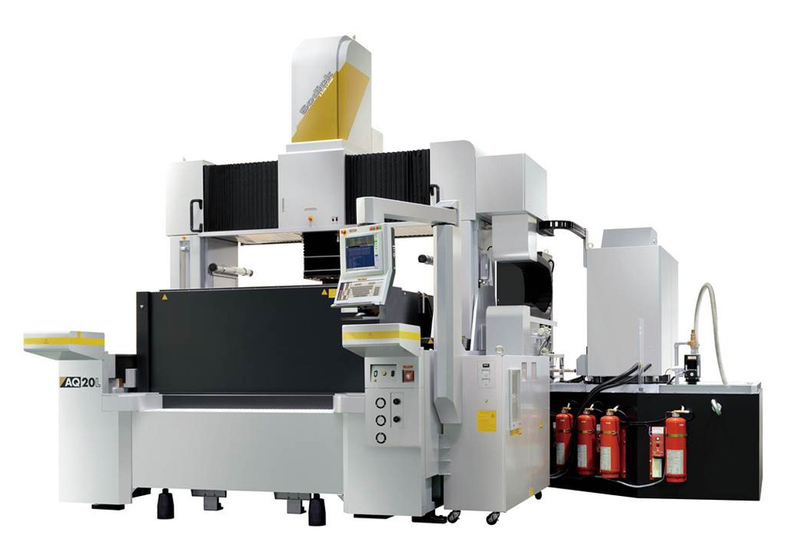 A large size die sinker EDM specialising in the highly efficient production of large size moulds such as those for automobile parts and large flat display panels, making it possible to fully utilise the high speed, high precision machining capability of linear motor drive machines. High-rigidity double-column structure not affected by the weight of workpieces. Structure perfectly symmetric in both X and Y axes directions to minimize the environmental changes. The extra service stroke of Y axis to improve operability and support efficient operation of ATC unit.